Recently in the internet market, search engine optimization (SEO) has been needed and used more and more, because it’s one of the best free traffic method internet marketers use to promote their online business. Given all the new tools available today to develop or create websites with flash, images or java, it’s important to have something that the search engines can read. Search engine need to be able to read our website’s content in order to index it, so that people can find it when they launch a related search. For Cameroonian digital entrepreneurs or any internet business owner who wants to succeed online, this can represent the most efficient and cost effective method. We’ll discuss in this article about what SEO really is, how it works and how you can use it to generate free traffic for your new website! So How Can We Define SEO? 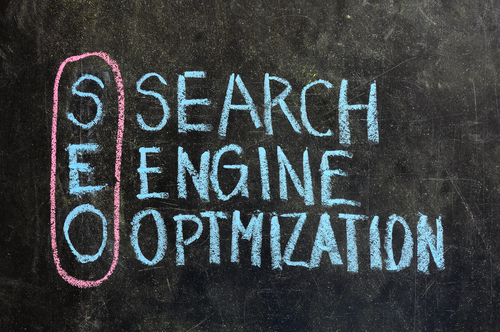 Think about SEO as a strategy to analyze and modify your site, allowing search engines to easily read and index it. So the main purpose of SEO is to build and maintain websites in such a way they will be highly ranked in most search engines. The thing is that, to make more money online you need to be seen as much as possible. That’s why you will want to be at the first page of search results when people use search engines for your keywords. A good SEO strategy will allow you to achieve this by boosting your ranking. Search engines maintain a huge database containing information from individual websites. Most of the information search engines collect isn’t listed on their results pages, but it is taken into consideration when it comes to deciding those results’ rankings. It is critical that you encourage the search engines to give a good ranking to your website, and this can be done through the keywords used on your site and how you use or submit them. If the keywords you use in your submission tool don’t match the ones on your site then you could harm your rankings – make sure to have all the keywords you want to use on the website itself before you submit it. Lon keyword lists containing up to 50 phrases per page are recommended, but this goes with good content also. It’s critical to not just focusing on keywords listing and nothing else, as this can harm your ranking. You need to mix it with very good and useful content for your readers, that is how you will score higher with the search engines and scale your business. Most of the search engines on the Internet are still free, so that’s why lot of people can easily leverage it today as a free advertisement method to promote their business online. With all the free tools available out there to help, you can also set this up on your website without any problem and take advantage of it. All you’ll need to do is to choose and install one of the available plugin for your website building platform. With the today’s most popular platform for internet marketers (WordPress), you’ll have a lot of options for SEO plugins. So simply put SEO is a set of techniques we leverage to attract visitors and prospects to our links or website, while the goal of a search engine is to provide high quality content to the users of the Internet. You must consider those two objectives to expect some good result. When we talk about Link building, it simply refers to something known as relevancy. While ranking sites in their results, search engines tends to list the site that is the most relevant. There are different criteria going into determining relevancy, but the number of other sites linking to yours is one of them. That’s what we call “backlinks”, and in term of SEO the more relevant backlinks you will have pointing to your site, the better ranking you’ll get. Ideally, you want only inbound links from other sites that are relevant to the subject of your site. For example, if you have a “nursery” site, you want links from other “nursery” or related activities sites. Otherwise, those links may harm your ranking because they are not relevant. When building links to your site, Google will favors a slow, steady increase in links. So for top rankings on Google, you should follow this strategy but with caution and without being slave of it. As you should be aware of, new sites are not ranked by Google. Instead, your site will sit for about half of a year in the so called Google sandbox. Given this fact, you really don’t need to worry about Google for the same period of time when it comes to your links. Google isn’t going to rank you anyway, so picking up the pace isn’t really a problem. With a brand new site, it’s better to create as many legitimate, relevant links as possible, as fast as you can, because I find it beneficial to start aging the links as soon as possible. Links to your site tend to grow in value the longer they exist on another site. So why not maximize the number as quickly as possible? It isn’t like it is going to hurt your rankings on Google, as you aren’t going to have any remember! While following this approach, I am not suggesting you purchase links, use link farms or something similar. Instead, I am just suggesting that you maximize your link trading efforts immediately to build up as many links as you can and get the aging process rolling. When you will be close to month four in the sandbox, you can start scaling back your efforts to a more slow and steady approach. Most of website/blog holders in Cameroon are not aware of this technique and doesn’t apply it, so this is a great strategic advantage for you! it works for me; I hope it’ll for you too!